5 kms from Tauranga Airport. Across the road to Famous Hot Salt Water pools. Cafes just out the door. 5mins walk to the main shops and restaurants. 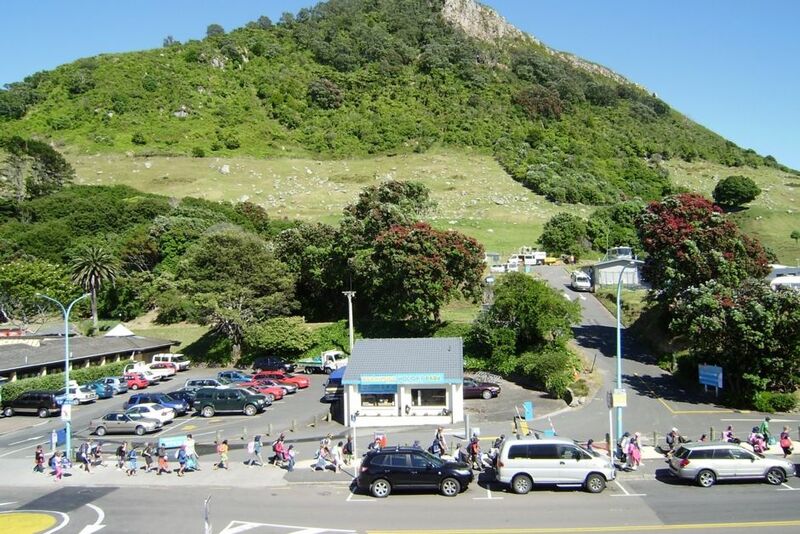 A 45 minute walk around the mount or walk to the top see the magnificent views of the Bay of Plenty. Watch the Cruise Liners floating in and out of our beautiful harbour. Enquire about our weekly rates and Super Gold Card discounts. On the third floor of The Oceanside Motor Lodge. Secure carpark and lift to the top floor. Everything u need.close to everything. A great stay with my three boys. Joy was perfect with providing the service and flexibility needed for my weekend. This is a perfect place to explore or relax at the Mount. The hot spa was an added bonus. This property is very nice.... large, clean, everything you need with full facilites available and very well located. Also brilliant to have a car park in the basement. However, due to the great location, it is also a little noisy. If you are an early riser then the noise wont bother you at all but if you like to sleep in (especially on a Monday morning) you may be disturbed by the (what seemed) endless arrival of rubbish trucks, traffic on the road and people in the street. I was very disappointed to find that internet was not included in the price. This place is advertised as have internet but internet is 'available' not 'included'. When I went down to reception to inquire about purchasing some data the lady at reception was very rude which was very disappointing and was not a good start to my stay. Although the weather over the Queens Bday weekend was horrible we were very thankful to have stayed in such a lovely apartment. Everything we needed was already there. Very thankful to have such a spacious apartment to stay in when the weather outside was horrible. Spotless place, great location. Really enjoyed having private parking and a full kitchen.